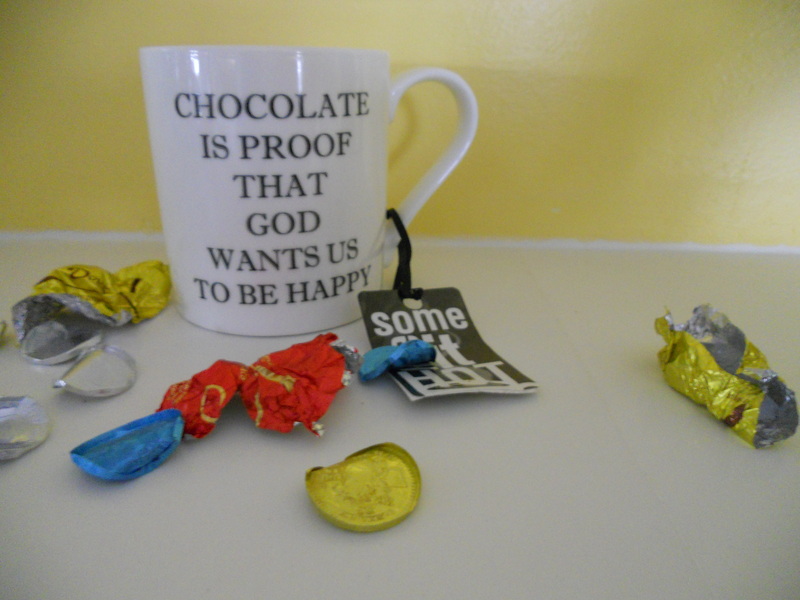 This entry was posted in Birthdays, Celebrations & Events, Creative Expressions, Friends & Family, Fun & Frivolity, Prose & Poetry and tagged brother Rick's present, chocolate candy, Chocolate is proof that God want us to be happy mug, cocoa, My birthday season. Bookmark the permalink. Laurie – In the negotiations please include me in the package. Rick – In the negotiations please include me in the package. I really love Rick, he’s the nice brother I never had. Sending you chocolates? Can he adopt me into the family? Please? Love, Peachy Keen Jr. It’s not as if we’re not already connected! I’ll ask Rick if he would adopt you. Rick? In exchange would your children adopt me? !